You wouldn’t think getting up early to work for free on Saturday would be fun. 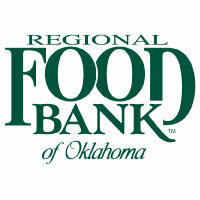 But 15 OCCC students learned this to be true on March 17 at the Regional Food Bank near Will Rogers World Airport in Oklahoma City. Most of the helpers at the food bank are volunteers from all over the metro, giving up their free time to meet the needs of the hungry, said Liz Brandon, volunteer supervisor. The atmosphere at the food bank was positive, even on an early Saturday morning. People come to help make a difference in the lives of others. At the end of the day, the volunteers said they felt good about themselves, this writer included. A volunteer named Lisa from Food for Kids Backpack program described herself as a regular. Each big group of volunteers had a specific task throughout the building. The OCCC group’s duty was to bag frozen spinach in specific amounts to be stored in boxes, then to be transferred to the freezer for shipment. Everyone started off by putting on plastic aprons, rubber gloves and hair nets. Four pallets of frozen spinach were pulled in on pallet jacks. In the middle, stainless steel tables were connected in a long row with digital scales on one side while the other side had plastic sealers. Behind the tables were empty boxes. The room was slightly cooler than rest of the warehouse. Every volunteer was assigned a task. Some were assigned to break down the frozen spinach with metal poles. Others quickly scooped the spinach into a bag, then transferred it to the scale where they would weigh it to exactly two pounds then pass the bag to the sealer where they sealed it tight. After the spinach had been weighed and sealed in bags, others would pick up the bags and store them in boxes. Everyone was working fast and seemed to have bright expressions. People were talking to one another like teammates. The OCCC group helped through two shifts, one in the morning and one in the afternoon. At the end of each shift, as the students cleaned up, Brandon announced the totals. “You guys have filled up 229 cases of frozen spinach,” she said at noon. For the afternoon shift, the OCCC students finished 134 cases. “That was pretty close to our current record,” Brandon said. To contact Eldon Ngo, email onlineeditor@occc.edu.